Acuity’s STREAM Integrated Risk Manager software solution allows you to rapidly customize and implement your own enterprise governance risk and compliance solution. STREAM provides visibility into your risk and compliance status for business managers, translating risk assessments, key control performance metrics, and incidents into easily understandable management information. Using the free download, you can configure your own GRC solution and use this on a single computer within your organization and supply chain or to provide services to others. You can use the free download to develop and pilot your Enterprise GRC solution for specific management systems, such as information risk, IT governance, health and safety, business continuity, or environmental risk. Or you can pilot an integrated Enterprise Risk Management solution. When you are comfortable that STREAM meets your business requirements, you can easily upgrade to our Enterprise edition. Contact Acuity Risk Management LLP, Liberty House, 222 Regent Street, London W1B 5TR, UK; e-mail sales@acuityrm.com; http://www.acuityrm.com. AgenaRisk is a powerful decision support and risk analysis tool that arms users with the latest algorithms to quantify uncertainty and to produce models for prediction, estimation, and diagnosis, all made accessible via a sophisticated graphical user interface. AgenaRisk helps the user to model, to assess, and to predict risk and uncertainty; combines the benefits of Bayesian networks, statistical simulation, and spreadsheet-like analysis; and is visual, easy to use, and intuitive. AgenaRisk is useful for project and business risk analysis, six sigma, systems reliability analysis, fault diagnosis, software quality control, hypothesis testing, statistical modeling, expert systems and safety analysis. A large number of example models and a trial version for FREE download are available from www.AgenaRisk.com. AgenaRisk is available as a desktop application for Windows and UNIX systems and is also available in an Enterprise edition SDK. Contact sales@agenarisk.com. Bass-Trigon Software (BTS) is a leading provider of compliance, risk assessment, pipeline risk assessment, and maintenance management software and professional services to the world-wide petroleum and natural gas pipeline industry. BTS flagship products, Cathodic Protection Data Manager (CPDM) and Integrity Assessment Program (IAP), are the leading applications in the U.S. for corrosion data management and risk assessment software. Contact BTS, 8101 S. Shaffer Parkway, Suite #201, Littleton, CO 80127, phone (303) 948-0119, fax (303) 948-0479, e-mail info@bass-trigon.com. BEE-Line Software provides quality air dispersion modeling software, training, and expert support. The company pioneered PC modeling and has been a leader in microcomputer air modeling software since 1982. Years of experience in writing PC models and listening to users makes the company’s software easy to use. The company offers software and courses for all dispersion modeling needs, from industrial permitting to Title III’s 112(r) RMP modeling. BEEST for Windows (ISCST3, ISC-Prime, AerMod) software is an industry leader in modeling software for state and federal permits. The company offers other air dispersion modeling software, including SLAB, INPUFF2, and SCREEN3. Contact BEE-Line Software, PO Box 7348, Asheville, NC 28802, phone: (828) 628-0636, fax (828) 628-0635, info@beeline-software.com. Also see http://www.beeline-software.com. Since its inception in 1986, BOSS International has become a recognized world leader in the field of civil and environmental engineering software. The company develops state-of-the-art hydraulic, hydrologic, water resources, groundwater, environmental, and surface modeling software packages for its customers. All BOSS products include free, lifetime technical support. The company’s web sites are located at http://www.bossintl.com/ for the Americas and at http://www.bossintl.co.uk/ for Europe. Call 800-488-4775 for sales, 608-258-9910 for international sales, and 608-258-9910 for technical support, e-mail info@bossintl.com. The fax number is 608-258-9943. California Department of Toxic Substances Control, Human and Ecological Risk Division has published two software packages (Excel spreadsheet based) which aid in assessing risk posed by some hazardous materials in the environment. The first software package is called LeadSpread and the second is called CalTOX. Contact Jim Hope, phone (916) 323-3731, e-mail skyking@jps.net. Also see http://www.dtsc.ca.gov. The specialty of CadhamHayes Systems is providing information technology consulting and development services to the private and government sectors, primarily in the area of data management using relational database technologies. The company’s involvement with monitoring systems began over a decade ago with the development of a complex hydrometric data management system for the Water Surveys Branch of Environment Canada. This system captures, manipulates and disseminates electronically sensed, time-series data from the department’s nation-wide, environmental monitoring network. This was used as the basis for NewLeaf®, a software system for acquiring and processing data from environmental sensors and field data collection programs. It is capable of handling data from the environment in real time via telemetry or as non-real time physical measurements. The data can be modified, analyzed, and outputed to the screen, paper or computer media in general tables or graphs or in specific reports. Contact Cadhamhayes Systems, Inc., 333 Cumberland Street #100, Ottawa, Ontario, Canada K1N 7J3, telephone (613) 789-8649, fax 613-789-5207, e-mail webinfo@cadhamhayes.ca. Continuously Evolving Business Optimization Solutions (CEBOS) offers MQ1 software and related services to help industrial firms achieve and sustain ISO, QS and TE-9000 certification. The company is structured to serve small to mid-size industrial firms directly, with a lot of hands-on involvement in tailoring MQ1 software to fit individual situations. The company serves large firms with the additional help of value-added resellers and professional training and support organizations. The MQ1 package utilizes open database technology and is OBDC compliant. A full-featured user security setup ensures that users have appropriate access to information and protects data integrity. System wide task management and links to email provide a mechanism to increase communication and provide action item accountability. Contact CEBOS, 5936 Ford Ct., Suite 203, Brighton, MI 48075116, telephone (810) 534-2222, fax (810) 534-0131, e-mail sales@cebos.com. See also http://www.cebos.com. The Operationally Critical Threat, Asset, and Vulnerability EvaluationSM, or OCTAVE®, approach is a self-directed information security risk evaluation method that offers a systematic way for an organization to address its information security risks, sorting through the complex web of organizational and technological issues. The OCTAVE® method and its implementation guide can be downloaded from the CERT® Coordination Center website at http://www.cert.org/octave/. Chemical Safety Corporation, creator and distributor of environmental information management software, offers comprehensive software packages in total regulatory compliance designed to provide organizations with tools to manage an abundance of environmental, health, and safety information. The company produces several software packages, including Environmental Management Systems, a comprehensive software system for environmental and safety compliance, management, planning and reporting. Contact by phone 888-594-1100 or e-mail ems@chemicalsafety.com. Also see http://www.chemicalsafety.com. CIMTechniques is a leading developer of powerful Windows-based data acquisition software. The company’s products are used in industrial testing as well as process monitoring and control (SCADA). They are committed to providing flexible, high performance software solutions that anyone can set up and use. Contact CIMTechniques, Inc., 1215 Prince Street, Beaufort, SC 29902-4947, phone (843) 521-9897 or (800) 246-9456, fax (843) 521-9818, e-mail sales@cimtechniques.com. Also see http://cimtechniques.com. The award-winning Citicus ONE risk management software is a web-based tool for managing information risk and other aspects of operational risk enterprise-wide. The current version – Release 3 – enables risk practitioners to measure and aggregate the risks posed by business applications, IT infrastructure, sites, suppliers, and projects in a consistent and objective way. Citicus ONE is currently in use in companies of all sizes, who appreciate its scalability, value, business-orientation, and efficiency. It has been used to measure and manage the risk posed by thousands of information systems and other targets in over 150 countries of the world. For more information or to request a web demo, visit www.citicus.com, call +44 207 203 8405, or e-mail info@citicus.com. Climatronics Corporation provides software for weather and wind sensors. Climatronics Corporation, 140 Wilbur Place, Bohemia, NY 11716, Phone (631) 567-7300, fax (631) 567-7585, e-mail info@climatronics.com. Also see http://www.climatronics.com. RMP99 Assistant is a Windows based program designed to help develop a Risk Management Plan. RMP99 Assistant helps confirm the release duration, identify mitigation factors, describe the release point, as well as record safety inspections and training programs. Features of RMP99 Assistant include help in calculating the toxic endpoint calculations, the off-site consequence analysis, a release scenario, and the process hazard analyses. It also helps determine a five-year accident history, a facility’s program level, and a prevention program. RMP99 Assistant verifies release quantities against process and facility inventories and accounts for connected pipes and other process components in the release quantity determination. For more information, including a downloadable demonstration visit the CompuTerra website(http://www.computerra.com), Email CompuTerra at cterra@avalon.net, or call 1-888-4-CTERRA. CSC has helped its clients manage and profit from every major wave of change in information technology (IT) for more than 40 years. CSC believes success is best achieved through developing a thorough understanding of the real world needs and problems a business is facing. With this unique understanding, CSC goes beyond simple fixes to truly innovative, effective solutions. 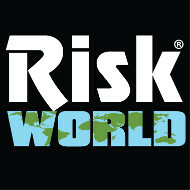 Its solutions include the RISKMASTER software family for risk management claims; RISKMASTER/World™, a Windows-based risk management information system, and its new browser-based system RISKMASTER.net™; and Global Risk Systems, a tool for implementing and optimizing business risk strategies that covers traditional insurance and loss data, as well as enterprise risk management data. Contact CSC’s corporate headquarters at 2100 East Grand Avenue, El Segundo, CA 90245, Phone: 310.615.0311. For more information, see http://www.csc-fs.com/. CoNetrix tandem software was built specifically for financial institutions (banks, savings associations, credit unions, and trust companies) to help increase security, stay in compliance, and lower overhead costs. Primary software modules include Risk Assessment, Policies, Business Continuity, and Vendor Management. To learn more, visit http://www.conetrix.com/Tandem.aspx. Covante Technologies, a subsidiary of Beta Corporation International, offers the workplace risk and hazard identification and screening software WREX™ (web-based risk evaluation expert), a data-driven, multi-tiered question tool that is designed to ask the user a set of qualified questions and, based on the answers, to produce a tailored response that addresses his or her unique requirements. Contact: beta@betaci.com. Covante Technologies, 6719-D Academy Rd., NE, Albuquerque, NM 87109, telephone (505) 822-1968. Also see http://www.covante.com. RBI (Risk Based Inspection)/Inspection Management software from Credosoft is suitable for chemicals processing plants, refineries, production platforms, pipework, pressure systems, and rotating and static equipment. Organizations that use Credosoft products include Chevron Texaco, BP Amoco, Conoco Phillips, Exxon Mobil, AtoFina, DNV, Millennium Chemicals, AMEC, Kvaerner, AGIP, and Petro Canada. Credosoft Ltd. is located at Panorama Business Park, Glasgow, G33 4EN, Scotland; telephone +44 (0) 141 781 4430. Also see http://www.credosoft.com. We have more than ten years of experience in delivering solutions that solve real business problems. Commitment to client satisfaction, creativity, collaborative solutions, and vendor neutrality are some of the reasons why our growth has been largely fueled by long-standing satisfied customers and their positive references. From strategy formation to program management, accomplished through implementation, knowledge transfer, and globally managed services, our IT solutions are customized to meet the specific requirements of our clients. Our specialized expertise in data warehousing and business intelligence, data management, and application development includes various methodologies like toolkits. Knowledge base has been enriched through our collaboration with our customers, business partners and industry experts. Please see http://www.cssolutionsinc.com. C Tech offers the Environmental Visual System which unites state-of-the-art 3D analysis, visualization, and animation tools into a powerful software system developed for geologists, geochemists, mining engineers, and modelers. Contact C Tech Development Corporation, 2360 Corporate Circle, Suite 400, Henderson, NV 89074, telephone (941) 315-5740 or (800) NOW-4-EVS, fax (714) 844-9255, e-mail sales@ctech.com. Also see http://www.ctech.com. Dakota Software offers comprehensive, in-house services to help organizations design and deploy first-class proactive compliance programs. With a mix of formal regulatory education and hands-on EHS field and management experience, our Compliance Services experts combine ‘book smarts’ and ‘street smarts’ with a thorough understanding of Dakota’s EHS compliance tools to speed implementation, leverage the capabilities of ProActivity, and elevate your compliance certainty. Dakota’s Compliance Services team excels at making the complex simple. They can provide the extra set of hands you need to assist with specific projects or help develop detailed compliance programs. Additionally, by analyzing local and organizational requirements and building them into Dakota’s task database, they can consolidate EHS information and establish accountability for all compliance obligations and activities. Dakota Software’s ProActivity™ Suite makes it easier for companies to achieve and maintain Environmental, Health and Safety (EHS) compliance. At the heart of ProActivity is a rule-based data system fueled by a library of expertly translated regulatory content. Using Decision-Tree-Logic℠, ProActivity helps you pinpoint which of the thousands of regulatory requirements matter to you. It prompts continued compliance by automatically notifying you when a forthcoming requirement or recent regulatory change affects your compliance profile. ProActivity puts organizational EHS efforts in-step, providing visibility, insight, and guidance where and when it’s needed. Individual profiles allow varying levels of control and automated alerts ensure accountability at the points of control. ProActivity is designed to eliminate uncertainty, so your company can move beyond EHS compliance and become a leader in corporate sustainability. Contact Dakota Software Corporation, 1375 Euclid Ave., Suite 500, Cleveland, OH 44115, telephone (216) 765-7100, fax (216) 896-0603. Also see http://www.dakotasoft.com. Data Shaping Solutions, LLC, has expertise in managing complex statistical problems and shaping data into actionable conclusions. The company designs original and efficient strategies applied to the stock market, internet market research, web site auditing and promotion. The company offers Advanced Trading Systems, which are online professional tools for short- and long-term stock traders with daily buy and sell signals. To download DataShaper, an integrated product for real-time strategy design and implementation, see http://www.datashaping.com/download.shtml. The company also publishes a monthly newsletter on technical analysis. The trading software and strategies are designed by a statistician from Cambridge University. Contact Data Shaping Solutions, LLC, 1001 Parkview Drive, Pittsburg, California, 94565, Telephone 925-432-4104, e-mail info@datashaping.com. DataWave Technologies is a recognized leader in data acquisition and data analysis products for the Life Sciences. It offers a complete line of fully integrated, quality tested software and hardware packages for electrophysiology, neurophysiology, physiology, and behavioral related research. The company’s products are used daily by leading researchers around the world. Contact DataWave at 1435 West 29th, Loveland, CO 80538, phone (970) 669-6350 or (800) 736-9283, fax (970) 461-7720 or sales@dwavetech.com. Also see http://www.dwavetech.com. Dataxiom produces powerful yet easy-to-use data analysis software solutions for statisticians, scientists, engineers, and researchers. From the initial pre-analysis steps to the final report writing, the Dataxiom family of products are perfect for tackling any research problem. Among its products is XPro, the first statistical software to specialize in exact parametric methods to detect significant and nonsignificant experimental results, even with small sample sizes; Power and Precision, a stand-alone program for determining the sample size and statistical power for a planned study; and NCSS a software package that delivers high level statistical procedures with powerful data management and report editing capabilities into an intuitive user interface. Contact Dataxiom Software Inc., 3700 Wilshire Blvd., Suite 1000, Los Angeles, CA 90010, telephone (213) 383-9973, fax (213) 383-3542, e-mail sales@dataxiom.com. Also see http://www.dataxiom.com. DAVID Corporation has been providing software and services to alternative and commercial P&C insurance markets since 1984. Our NavRisk product suite consists of NavRisk Policy, policy administration and underwriting software; NavRisk Claims, claims administration software; and NavRisk Central, a self-service portal for reporting, instant views of claim payment status, quoting, and policy renewal. Through automation, rich content, advanced processing functionality, and configurable reporting and analysis features, the NavRisk suite helps organizations improve operations, reduce expenses, increase productivity, and enhance agent and customer satisfaction. Based on business process management (BPM) capabilities and Business Rules Engines (BRE), NavRisk automates repetitive tasks, minimizes manual intervention, establishes consistent practices, and provides operational transparency. For more information, please visit http://www.davidcorp.com or call 1-800-55-DAVID (3-2843). Decisioneering of Denver, Colorado, develops and markets software for modeling and risk analysis. Crystal Ball® is a Monte Carlo simulation add-in for Microsoft Excel and Lotus 1-2-3. Crystal Ball Pro is a suite of risk analysis programs that includes Crystal Ball, OptQuest (global optimizer that works with uncertainty analysis), and the Developer’s Kit (VBA macros that allow users to customize the user interface). CB Predictor is an automated, time-series forecasting program that adds in to Excel for Windows. Contact Decisioneering, 1515 Arapahoe Street, Suite 1311, Denver, Colorado 80202, phone (303) 534-1515, fax (303) 534-4818, e-mail sales@decisioneering.com. DeltaSource creates products for those who have responsibilities for implementing environmental health and safety programs, ensuring the safety of employees and/or the public, and maintaining careful documentation and records. DeltaSource products can be successfully utilized in industry, government, property management, facilities maintenance, school districts, utilities, and just about any other organization that needs to manage hazards and hazardous materials. The company offers Asbestos Control Manager, a powerful, state-of-the-art, fully-relational database management tool, ACM will help manage and control asbestos-containing materials and manage asbestos in place. While ACM is an environmental health and safety management application that helps meet regulatory compliance standards, such as EPA, AHERA, and OSHA, it was designed to go beyond compliance to manage asbestos hazards effectively and efficiently. Contact DeltaSource, Inc., 9220 SW Barbur Blvd. #119285 Portland, OR 97219, telephone (800) 684-5832 or (503) 284-0017, fax (503) 238-3970, e-mail info@deltasource.com. Designsafe – the hazard analysis and risk assessment guide – brings safety into the design process. Developed by design safety engineering, inc. in Ann Arbor, MI, designsafe is an easy to use tool to quickly identify hazards and assess risks for product and process designs. designsafe guides safety professionals and engineers through a task-based assessment to reduce risks in a structured method, helping to include safety through design. designsafe is distributed by the National Safety Council with the support of the Institute for Safety Through Design. For more information and a free demo visit http://www.designsafe.com. Design Safety Engineering, Inc., P.O. Box 8109, Ann Arbor, MI 48107, telephone (734) 483-2033 or (888) 628-8788, fax (734) 483-9897, e-mail information@designsafe.com. DNV GL is a world-leading provider of software for a safer, smarter and greener future in the energy, process and maritime industries. Their solutions support a variety of business critical activities including design and engineering, risk assessment, asset integrity and optimization, QHSE, and ship management. DNV GL provides a wide range of software solutions helping you manage risk, supporting transparency and sustainability and enabling you to comply with regulatory requirements and industry standards. Their solutions support design and engineering efficiency, helping you reduce your cost both in the design and operational phases. Improved return on assets is possible though optimized performance, reduced downtime and extended lifetime. Software solutions include Phast and Safeti for consequence modeling and quantitative risk assessment; Nauticus for design, analysis and code-check related to ship hull structure and propulsion systems; Maros and Taro for predicting performance and improving production efficiency; Synergi for comprehensive asset integrity management software; and many more. For more information, see http://www.dnvgl.com/software/default.aspx. EarthSoft, Inc. has written EQuIS (Environmental Quality Information System), which is a widely used environmental data management system. EQuIS is used in Australia, the US, UK, and many other places, by the Regulatory Community, Industrial property owners, many consultants, and is supported by many analytical labs. EQuIS has been encapsulated with the ArcView GIS for unparalleled intuitive ease of use. It is powerful enough to manage all chemistry, geology, and hydrology data. The EQuIS data warehouse provides a means where a single data entry event can be exported to many industry standard tools. Contact EarthSoft, Inc., P.O. Box 1376, Concord, MA 01742, help desk phone (800) 649-8855, sales phone (978) 369-2201, fax (850) 471-7470, e-mail info@earthsoft.com. Also see http://www.earthsoft.com. EasySolve Software is dedicated to providing professional quality geoscience software at a fraction of the typical market price. Developed by industry professionals for their own use, these programs are high quality and easy to use. Some of the programs available include EasyLog, a tool for creating graphical reports of borings, test pits, and groundwater monitoring wells; SizePerm, a program which calculates hydraulic conductivity of unconsolidated material from grain size analysis using 10 of the most accepted methods, and provides detailed reports with supporting documentation; and OmniVar, an interactive, graphical, 2D variogram analysis tool, providing a graphical report of the experimental data and fitted model with supporting documentation. Contact EasySolve Software LLC, 1307 Tara Court, Tehachapi, CA 93561, telephone (970) 319-1591. Also see http://www.easysolve.com. Ecologic Systems is an environmental technology firm that has created a suite of environmental management systems designed to save time and money, reduce risks, improve employee health and safety, and help comply with regulatory requirements, quickly and easily. Contact EcoLogic Systems, 7977 Capwell Drive, Suite 150, Oakland, CA 94621, telehone (800) 223-0609 or (510) 635-7400, fax(510) 635-7402; e-mail sales@ecologicsystems.com or support@ecologicsystems.com. Also see http://www.ecologicsystems.com. EMAX Solutions, a SciQuest.com Company, is a leader in mission-critical e-Research software solutions and a domain expert in drug discovery work processes and technologies. EMAX helps clients in life sciences gain competitive advantage through the application of information technology to speed the process of lead discovery and development. EMAX’s software for the management of both proprietary and commercial research substances enables faster drug discovery while decreasing cost per lead by helping research operations realize the potential of high throughput drug discovery. EMAX applications for reagent and substance inventory, tracking, requisitioning, receiving, stockroom management and plate management are being used by leading pharmaceutical research operations and their supply chain partners. Contact EMAX Solution Partners, 18 Campus Boulevard, Newtown Square, Pennsylvania 19073, telephone (800) 551-3629 or 610-325-3700, fax (610) 325-3782. Entegra Corporation provides software for reputation risk management, incident reporting/tracking, investigation/case management & issue management. They offer Ki4 which is an enterprise reputation-risk solution that “listens” and “measures” reputation risk across all stakeholders, internal and external. Ki4 provides the information and knowledge that executives need in order to effectively and efficiently build, maintain, manage and protect the most fragile asset—the corporate reputation. Contact Entegra Corporation, One Lincoln Center, 18W140 Butterfield Road-15th Floor, Oakbrook Terrace, Illinois 60181, telephone 630-613-7661, Sales Info: 630-613-7635, Sales Info Email: info@entegracorp.com, website http://www.entegracorp.com/. Environmental Risk Communications, Inc. develops and services Defender, a software suite used to estimate and manage the financial risks associated with environmental projects. Remedy Defender enables project managers to compare the risk-adjusted net present values of alternative cleanup strategies on an individual site. Portfolio Defender summarizes the Remedy Defender information to generate portfolio valuations used in 10-K/annual report disclosure, merger & acquisition due diligence, and brownfield property valuation. Contact John Rosengard, President, ERCI, 2101 Tunnel Road, Oakland, California 94611, telephone (510) 548-5570, email john@erci.com, web site http://www.erci.com. In today’s world of advanced technology and environmental awareness, organizations struggle to stay in control of rapid change. Envista Technologies provides a comprehensive solution that will reduce costs of environmental operations and increase the effectiveness of corporate data. The company offers Envista, an Environmental Information Management System based on a multi-user database engine. The system acts as a corporate repository for environmental data, providing a single source for data entry, reporting, and activity scheduling. By taking full advantage of replicated server technology, Envista can be scaled from a single workstation to become a global environmental information warehouse. Contact Envista at 840 – 6th Avenue, SW, Suite 540, Calgary, Alberta T2P 3E5 Canada, telephone (403) 261-5255, fax (403) 261-5259, e-mail info@envistatech.com. EtQ is a leading enterprise quality and compliance management software for identifying, mitigating, and preventing high-risk events through integration, automation, and collaboration. EtQ features integrated risk assessment, which enables users to apply risk to processes within the quality system. EtQ Risk Assessment enables risk templates, charts, and histories to be created and embedded into all of EtQ modules. EtQ Risk Assessment also enables companies to build risk portfolios for individual products, leveraging previous risk assessments to quickly identify appropriate risk levels and resolutions for quality and compliance events. (See the risk assessment software overview.) Additional modules include document control, corrective and preventive action, employee training, and more. For more information, visit EtQ on the Web at http://www.etq.com. Exeter Software provides scientific software for teaching and research. Software is available in statistics, ecology, genetics, and other categories. Contact Exeter Software at P.O. Box 521, E. Setauket, NY 11733, telephone (631) 339-4764 or (888) 695-0285, fax (631) 689-0103, e-mail: sales@ExeterSoftware.com. Also see http://www.exetersoftware.com. The FieldWorker Data Collection software has many industry uses. It can be used in archeology for cultural resource reviews and site mapping; in asset management for utilities, public works, and the department of transportation; in civil engineering for environmental impact assessments; in conservation for government and environmental sample projects; in the environment for vegetation, habitat and trapping research, marine systems, river and stream inventory, wetlands delineation; in geology/mining for field mineral exploration; in precision agriculture for farm management and field scouting; and in waste management for field study of litter and refuse. Contact FieldWorker Products Ltd., 1092 Islington Ave., Suite 202, Toronto, Ontario, Canada M8Z 4R9, telephone (416) 483-3485 or (888) 883-1902, fax (416) 483-7069, e-mail sales@fieldworker.com. Also see http://www.fieldworker.com. Fleet Transit produces Fleet OM&M (Operations Maintenance and Monitoring) Manager, a software package that helps manage environmental sites and the volumes of data generated and is designed exclusively for major oil corporations, petroleum marketers, and the C-store industry. This project management system gives the user absolute control of all data from the desktop. It automates the entire preventive maintenance process and standardizes data entry and reporting. Use Fleet OM&M Manager to analyze, adjust and reduce work scopes, logically and objectively; objectively evaluate remediation system performance; separate consultants from the less costly field data collection and entry tasks; expedite site closure through organization, control, and process efficiency; and provide concise, real time data for site closure negotiations. Contact Fleet Transit, Inc., 3400 Fairfield Road, Baltimore, MD 21226, telephone (410) 355-7910, fax (410) 355-2372, e-mail info@FleetTransit.com. Also see http://www.fleettransit.com. With an intense focus on demonstrating due diligence and accountability management, Forge Dynamics has engineered an on-line risk management system that consistently exceeds client and government expectations. The OPTIC System™ is an innovative tool that provides companies with a powerful risk management application at a reasonable cost. OPTIC was designed by OH&S personnel for OH&S personnel. It was developed to support and enhance an organization’s health, safety, and environmental initiatives. The functionality and usability are unmatched by other HSE software vendors. Forge Dynamics combines data management automation to the main areas of concern within a company’s HSE program. Their software can streamline data management in the areas of employee tracking and training, MSDS management, tool-box and safety meeting management, accident and incident management, investigations, claims management (recently added), and much more. For information, or to book a web demo, please call 780-490-1556 or e-mail optic@forgedynamics.com. On-line information is located at http://www.forgedynamics.com/. Fourier Systems develops and manufactures high-tech, high quality products for the information technology market. The company focuses on the development of high performance data acquisition products for the growing educational and industrial markets. Fourier has developed numerous data acquisition systems. Some such products include portable data loggers, a variety of more than 40 different sensors (voltage, current, temperature, sound, light, pH, distance…etc), and data analysis and processing software. In addition, Fourier Systems continuously develops curricula books to accompany its products in areas such as ecology, physics, chemistry, and biology. Contact Fourier Systems, 2309 Canyon Valley Trail, Plano, TX 75023, telephone (972) 596-5603, fax (972) 985-4433, e-mail meir@fourier-sys.com. Also see http://fouriersystems.com. The 4sight Securities Finance (4SF) product suite provides a real-time front-to-back office software solution. The system helps its users to trade more quickly, automate manual processes, and improve efficiency. 4SF also contains features that allow the user to gain greater control over risk by providing tools that can help reduce the likelihood of losses in a crisis. For more information, see http://www.4sight.com/products/4sight-securities-finance. FutureShield provides standardized physical security assessments for government and private organizations using innovative assessment software. Subject matter experts conduct independent threat/risk assessments. Software experts assist your security team with self-assessments. Reports are multi-media enabled including photographs, audio, video, and Microsoft Office attachments. Standards followed include C-TPAT, FSIS, FEMA, ASIS, and others. Contact: info@futureshield.net, www.futureshield.net, 1-866-675-7835 (North America) or +1 416 675-7835 (international). SEER™ Technologies) has provided the industry’s most comprehensive set of decision-support and production optimization tools. Combined with extensive consulting and support services, these estimation and analysis tools help manage product design and manufacturing operations, driving out costs and building in quality. An innovator in parametric analysis, Galorath’s SEER™ tools derive cost, schedule, labor and materials estimates by assessing the interaction and impact of product, organizational and even operational variables. Contact Galorath Incorporated, 222 N. Sepulveda Blvd., MS 1700, El Segundo, CA 90245, phone (310) 414-3222, fax (310) 414-3220, e-mail info@galorath.com. Also see http://www.galorath.com. Gamma Design Software designs professional geostatistics software for the environmental and social sciences industries. The company produces GS+™ for Windows. GS+ is a comprehensive geostatistics program that is fast, efficient, and easy to use. GS+ provides all geostatistics components, from semivariance analysis through kriging and mapping, in a single powerful program widely praised for its flexibility and friendly interface. Contact Gamma Design Software, P.O. Box 201, 457 E. Bridge St., Plainwell, Michigan 49080, telephone (800) 873-0690, fax (269) 585-6051, e-mail Sales@GammaDesign.com. Also see http://www.gammadesign.com. Geo-Information Solutions provides GIS and Geoscience consulting to government, the mining and oil industries, and environmental consulting firms. Geo-Information Solutions focuses on Database, GIS and mobile GPS/database application solutions. Database support using Microsoft Access and Microsoft SQL Server and programming in Visual Basic is a specialty. Geo-Information Solutions provides GPS – GIS mapping software, Tierra Mapper; mining industry field data collection database software, GeoInfo Mobile; and corporate database software, GeoInfo Tools Database. Geo-Information Solutions provides complete integration of field to corporate database solutions as well as support, training and custom development of integrated database, mapping, and data analysis solutions. Contact Geo-Information Solutions, 5070 N. Stonehouse Place, Tucson, Arizona 85750, telephone or fax (520) 760-2286. Also see http://www.geoinfosol.com. Geospiza’s products provide integrated solutions for genetic analysis to help researchers and core lab managers focus on the science – not the software. Geospiza’s FinchTV-Suite is the popular way to view DNA sequence traces on Linux, Mac OSX, Windows, and Solaris. FinchTV started as the only chromatogram viewer that can display an entire trace in a scalable multi-pane view. And it leads the way with raw data views, BLAST searching and the ability to reverse complement sequences and traces. With GeneSifter, access easy-to-use statistical, visualization and annotation tools for Microarray and Next Generation Sequencing data . Contact Geospiza, Inc., 100 West Harrison, North Tower, Suite #330, Seattle WA, 98119, telephone (206) 633-4403, fax (206) 633-4415, e-mail info.geospiza@perkinelmer.com. Also see http://www.geospiza.com. GoldSim is the premier Monte Carlo simulation software solution for dynamically modeling complex systems in business, engineering and science. GoldSim supports decision and risk analysis by simulating future performance while quantitatively representing the uncertainty and risks inherent in all complex systems. Organizations worldwide use GoldSim simulation software to evaluate and compare alternative designs, plans and policies in order to minimize risks and make better decisions in an uncertain world. Contact GoldSim Technology Group LLC, 22500 SE 64th Place, Suite 240, Issaquah, WA 98027-8111, telephone (425) 295-6985, fax (425) 642-8073, email software@goldsim.com. For more information, visit http://www.goldsim.com. Environmental issues affect all aspects of business, from strategic planning and risk management to compliance and performance reporting. GreenWare responds to the environmental needs of businesses by combining environmental knowledge and professional skills with technical strength in information technology. The company creates tools that help businesses and professionals in the public and private sectors around the world manage and improve their environmental performance efficiently and effectively. These tools include environmental management information systems such as the environmental performance system for monitoring and reporting, and the suite of ISO 14000 software for assessing, implementing and auditing environmental management systems. Contact GreenWare Environmental Systems Inc., 145 King Street East, Suite 200, Toronto Ontario M5C 2Y7, telephone (416) 363-5577, e-mail: greeninfo@greenware.com. GSI is an environmental engineering firm which specializes in the assessment and management of environmental risk. The company has worked worldwide, providing industry with innovative solutions to soil, groundwater, surface water, and air pollution problems and associated regulatory issues. GSI emphasizes careful data collection and analysis and technical ingenuity in all of their work in order to provide solutions that are both efficient and effective. GIS produces the RBCA Tool Kit for Chemical Releases which is a comprehensive modeling and risk characterization software package designed to meet the requirements of the ASTM Standard Guide for Risk-Based Corrective Action (E-2081) for Tier 1 and Tier 2 RBCA evaluations for chemical release sites in addition to traditional risk assessment calculations. The software combines contaminant transport models and risk assessment tools to calculate baseline risk levels and derive risk-based cleanup standards for a full array of soil, groundwater, surface water, and air exposure pathways. The ease-of-use features and streamlined graphical interface features of this software make it an essential tool for handling RBCA and generic risk assessment calculations for both simple and sophisticated problems. Contact GSI Environmental Inc., 2211 Norfolk St., Suite 1000, Houston, Texas 77098-4044, telephone (713) 522-6300, fax (713) 522-8010. Also see http://www.gsi-net.com. Haas Group International Inc. offers the MAXCOM™ system, a workplace chemical safety program that fully complies with OSHA. It takes Material Safety Data Sheet (MSDS) information and presents it in a manner that allows employees to work safer and respond quickly and correctly in the event of a chemical emergency. Contact Haas Group International Inc., MAXCOM Services Division, 1846 E. Innovation Park Drive, Oro Valley, AZ 85755, (888) 707-8819, fax (484) 564-4561, e-mail maxcominfo@haastcm.com. Also see http://www.maxcomonline.com. Higher Level Systems Limited is a privately funded software development company based in London in the United Kingdom. It creates and supports Assistum knowledge management tools, now being used by many well known UK and overseas blue chip companies, to help them improve their decision-making processes and optimise the value of their knowledge assets. Assistum can help with project and portfolio management including risk assessment, complex multi-discipline projects such as designing oil wells, audits of legal, security, environmental, and safety compliance, knowledge management and sharing of best practice, and empowerment without loss of control. Examples of online risk management applications created with Assistum include an oil project priority knowledge base and a pharmaceutical project priority knowledge base. A collection of other examples is also available. Contact the company at info@assistum.com. Also see http://www.assistum.com. HydroComp develops and distributes maritime software for hull and propeller analysis and design. Responding to the growth in desktop computing during the mid-1980s, HydroComp introduced the first version of the NavCad® software in 1987. NavCad is still HydroComp’s flagship product, with users in all corners of the world from design to construction to academia. In addition to NavCad, HydroComp’s software products grew to include PropExpert®, PropCad®, PropElements®, SwiftCraft®, and SwiftTrial® – programs for propeller sizing & analysis, propeller CAD, resistance and powering, and sea-trial & analysis. Contact Hydrocomp, Inc., 13 Jenkins Court, Suite 200, Durham, NH 03824, telephone (603) 868-3344, fax (603) 868-3366, e-mail: info@hydrocomp.com. Also see http://www.hydrocompinc.com. Idealsoft, Inc. dba Asvaco was founded to meet certain needs of the law enforcement requirements. The company manufactures a variety of risk assessment software products primarily for security and safety in government and private sectors .. both classified and non-classified, civilian and military, all of which have been battle tested. Asvaco™ Assessment Software, produced by Idealsoft, Inc., can assess anything, at any time, covering any topic. It includes Asvaco ScriptWriter, which allows anyone to create an assessment from scratch or add on to an existing set of questions, and Asvaco Engine, which runs the newly scripted assessment produced in the Asvaco ScriptWriter (sold separately). Contact Idealsoft, Inc., at info@asvaco.com or visit http://www.asvaco.com. Ideation International is the leading provider of TRIZ-based accelerated training programs, innovation software products and information. TRIZ (the Theory of Inventive Problem Solving) is an emerging science encompassing a structured method for creative thinking. It includes a theoretical base and various analytical and knowledge-base tools that help individuals invent and resolve complex problems in a systematic way. I-TRIZ refers to the Ideation/TRIZ Methodology, which incorporates advancements made during the past 15 years. The website contains a wealth of material on TRIZ, its advancements, and the advantages it can give your decision-making and innovation processes. Contact Ideation International, 32000 Northwestern Hwy., Ste. 145, Farmington Hills, MI 48334, phone (248) 737-8854, fax (248) 737-8929, e-mail info@ideationtriz.com. Also see http://www.ideationtriz.com. IHS software, content and expertise helps you collect and compile organizational risks across previously disjointed processes and sub-processes. Align corporate governance objectives for better management and eliminate information silos with efficient tracking. The risk register capability is an integral part of the IHS Risk Assessment Solution risk-assessment-solution , which enables you to plan for and manage risk; support organizational risk harmonization; prevent misunderstandings; understand your risk profile; gain analytics across all types of risks and thresholds; and the IHS Risk Assessment Solution is enabled by world-class software IHS Essential Suite, IHS Impact ERM and IHS Stature. See http://www.ihs.com/products/risk-register.html for more information. IMTI Systems Inc., founded in 1979, is a technology service provider to the commercial and personal lines insurance industries. With an extensive history in pioneering technological solutions for insurance companies in the areas of underwriting and claims, IMTI now focuses on field services automation and the field employee. Their products and services ensure that the loss control engineer, premium auditor, and claims adjuster have access to the tools needed to collect their data and report their findings in real time–delivered over the Internet! Their products include ARIES (Automated Risk Evaluation System), PAMS (Premium Audit Management System), and ORION (IMTI’s off-the-shelf Loss Control and Management System). IMTI’s product set and proprietary development technology are also readily adaptable to solutions in the commercial security, residential, and other site survey industries. Contact IMTI Systems, 4549 Delafield Ave., Riverdale, NY 10471, telephone (212) 488-9400, or email info@imtisystems.com. Also see http://www.imtisystems.com. INCOM provides risk, incident and issue management solutions for diverse industries, and has built its reputation on customer satisfaction, investment in product development and teamwork. Many organisations are trying to make do with risk management spreadsheets, and in doing so, do not have a good overall view of their risk exposure, and may be piling up reputation risk, financial risk, legal risk and more. Not only that, but few risk management systems have in-built cost-effectiveness analysis. Incom gets you from single-user spreadsheet risk management to multi-user web-enabled database driven enterprise risk management in the shortest time and lowest cost by providing powerful tools that are simple to install, configure, train and use. Customers include health services, emergency services, police services, local government, state government, federal government, engineering, telecoms, energy, manufacturing, mining and exploration, property and construction, financial, sporting clubs, major events, not-for-profit, universities, and by security, project office, and IT departments. The system will help you improve your business management and realise financial benefits. EnterpriseRisk Manager™ is a web-enabled multi-user Microsoft .NET application using SQL Server relational database supporting hundreds of decision makers. Incom’s Enterprise Incident Manager™ simplifies the task of recording and managing incidents. Incidents are the risks that have occurred. This software helps you keep track of incidents and their potential loss, their causes, mitigation actions (controls and treatments) and their costs. Contact Incom Pty Ltd., 8 Normac St., Roseville, NSW, Australia. 2069, telephone +612 9417 2480. Also see http://www.incom.com.au. Ontario-based Industrial Safety Integration provides the industrial hazard risk assessment software CIRSMA™ (Corporate Industrial Risk and Safety Management Application) and training to help their clients meet their regulatory obligations, including section seven of the Regulation for Industrial Establishments, Ontario Regulation 851, in Canada, and of 29 Code of Federal Regulations, Part 1910.212, in the United States. This innovative software program has been created to aid industrial establishments in developing a consistent approach to analyzing risk and defining appropriate risk reduction methodology. CIRSMA is a full featured software package that can be used to analyze risk, assess guarding, and prescribe the level of training required to work in close proximity to hazardous industrial equipment. In addition, the software includes a full document management module that will enable a company to prepare a long term plan and set target dates for the implementation of remedial measures. CIRSMA V2.0.0, released in September 2004, incorporates many new features and improvements that are based on international market requirements and customer feedback. Contact Industrial Safety Integration, P.O. Box 352 Fergus, Ontario, Canada, N1M-3E2, telephone (519) 848-6235. Also see http://www.industrialsafetyintegration.com. For more information on CIRSMA, see http://www.industrialsafetyintegration.com/cirsma-provides.html. Since 1992, Intelex Technologies has been developing, implementing, and supporting electronic management systems for environment (ISO 14001), quality (ISO 9001:2000), and health and safety (OHSAS 18001). The ISOsoft 14001 and ISOsoft 9001:2000 systems are part of an extendable web-based platform that integrates modules for environmental, quality, and health and safety management into a cutting edge web-based environment. ISOsoft is easily deployed, inexpensive to maintain, and backed by an experienced support team that ensures the success of every installation; improves employee productivity through personalized task management; saves time and money by automating management system maintenance; records and tracks nonconformities and corrective actions through e-mail and web-based forms; significantly reduces time and costs associated with document control and distribution; ensures organization-wide involvement with the EMS. ISOsoft is part of the ISOsoft suite of management system solutions. An investment in ISOsoft can be leveraged for not just a single management system but for environmental management, quality management, and health and safety initiatives. Contact Intelex Technologies Inc. at 905 King Street West, Suite 600, Toronto, Ontario, M6K 3G9; telephone 416-599-6009; fax 416-599-6867. Also see http://www.intelex.com. CORA® (Cost-of-Risk Analysis) is a powerful risk management decision support system that helps risk managers to optimize strategies for mitigation and transfer of, and recovery from operational risks of all kinds. CORA risk management projects are two-step processes. First, it provides a convenient context for risk analysts to organize, collect, store, validate, and collate the data that describe the risks and loss exposures of an organization. It then uses sophisticated algorithms to construct a quantitative risk model using these data. Specifically it calculates Single Occurrence Loss (SOL), and Annualized Loss Expectancy (ALE) for the organization, and then displays the results in tabular and graphic form. Second, risk managers use the CORA quantitative risk model to evaluate the cost-benefit of proposed risk management measures to identify the optimum package. It can estimate the Return On Investment (ROI) of risk mitigation and risk transfer actions. For example, CORA can identify insurance policies with a positive ROI, and it can also estimate IT system availability, taking into account all the threats that cause service interruptions. Finally, CORA can analyze alternate business continuity plans and determine the optimum Recovery Time Objective for IT systems taking into account both loss reduction and implementation costs. Contact Robert V. Jacobson CISSP, CPP, International Security Technology, Inc., 99 Park Avenue, 11th Floor, New York, NY 10016-1501, telephone (888) 478-2672, fax (212) 808-5206, e-mail info@ist-usa.com. Also see http://www.ist-usa.com. InterSys has developed SCAIR™, or Supply Chain Analysis of Interruption Risks, a business interruption loss estimation tool that maps supply chains and estimates the exposure at each critical step. Not aimed solely at the risk professional, SCAIR has a “business user friendly” flowchart-driven interface that can be used by supply chain management and purchasing professionals alike. Contact InterSys Ltd., 1 Bourne Court, Southend Road, Woodford Green, Essex IG8 8HD, telephone +44(0)845 094 8925, fax +44(0)871 247 3997. Also see http://www.supplychain-risk.com/scair-product-details/software-overview. Intermedix EMSystems is a recognized leading provider of comprehensive and interoperable technology solutions for emergency preparedness and response within the healthcare continuum. Intermedix EMSystems’ solutions are used by thousands of hospitals, EMS providers, fire departments, law enforcement agencies, and state/local departments of health. These proven solutions enhance emergency preparedness and response to medical emergencies, mass casualty events, and public health incidents by providing comprehensive real-time communications, multi-media alerting, inventory resource allocation, volunteer registry management, patient and evacuee tracking, and pre-hospital patient care records. EMTrack Mobile and Desktop are proprietary solutions for field data collection to promote the tracking of people, pets, and associated property and equipment in conjunction with the EMTrack solution. These optional components serve to supplement the Web offering; they afford an “offline mode” for which an internet connection is not required for operation. Contact Intermedix EMSystems, 135 South 84th Street, Suite 150, Milwaukee, WI 53214. For more information, see http://www.emsystems.com. IRIS integrated risk management is a leading provider of risk and financial analysis solutions for the banking, insurance, and corporate treasury sectors. Founded in 1992 in Zurich, Switzerland, IRIS looks back to a long experience in these fields. IRIS’ main product, riskpro™, is an advanced and easy to use financial analysis infrastructure covering market risk, ALM, funds transfer pricing, economic capital risk, risk-adjusted performance, liquidity risk, dynamic simulation/budgeting, historical analysis, regulatory reporting, credit risk analysis, Basel II, operational risk and IFRS (IAS 32 & 39). riskpro™ is currently the most unified and integrated financial analysis infrastructure in the market, providing fully consistent results with “Swiss precision.” The modularity of riskpro™ allows the installation of single domains (e.g., ALM only), which can be unified with additional modules at any time. riskpro™ is used today by over 230 independent institutions in 20 countries ranging from small banks to large organizations and can be used both for conventional and Islamic banking. For more information, contact IRIS integrated risk management at Bederstrasse 1, P.O. Box, CH-8027 Zurich, Switzerland, +41 (0)44 388 5959, info@irisunified.com. Iris Intelligence is an intuitive and user-friendly risk management software package. It embeds best practice risk management methodology in a fully automated system that can be instantly customized to match specific customer preferences and reporting requirements. It provides affordable solutions for all companies ranging from a single user desktop edition to thousands of users sharing a database across multiple locations. Contact IRIS Intelligence at the head office in London at 145 St John St, London EC1V 4PY, telephone +44(0) 20 8798 0569. In the US, the address is 244 5th Ave., Suite 244, NY, NY 10001, telephone (646) 461-7475. Also see http://www.irisintelligence.com/. A recognized world leader in developing and supplying reliability engineering software, ITEM Software provides the latest in software technology, technical support, consulting, and training for businesses involved with reliability, availability, maintainability and safety (RAMS) evaluation or risk assessment. The company’s software products include ITEM ToolKit, ITEM QRAS, and ITEM QT. Contact ITEM Software, 34 Executive Park, Suite 210, Irvine, CA 92614, telephone (240) 297-4442, fax (240) 297-4429, e-mail sales@itemsoft.com. Also see http://www.itemsoft.com. JCAD RISK provides a comprehensive and intuitive risk management solution that guarantees a consistent and structured process is maintained within your organisation. Designed with ease of use in mind, the web-based application provides powerful analytical and reporting functions and offers extensive customisation of screens, terminology, and setup. Additional features include automatic email notifications, sophisticated search functions, workflow and permission capabilities, and the ability to link risks to corporate goals and objectives. Contact JC Applications Development Ltd, Manor Barn, Hawkley Road, Hawkley, Liss, Hampshire GU33 6JS, telephone +44(0)1730 712 020, fax +44(0)1730 712 030, e-mail jcad@jcad.co.uk. For more information about JCAD RISK or to request a demo, please visit http://www.jcad.co.uk. This technology and services system, provided by SunGard Financial Systems, offers risk management and trading expertise through cost-effective, easily accessible, web-based risk management tools that enable commodity market participants such as traders, managers, and corporate officers to easily and accurately understand, quantify, and manage their risks. The easy-to-use risk management system Kiodex Risk WorkbenchSM provides pricing tools, market data, and financial reports to assist corporations in managing their exposure to market volatility and in complying with U.S. GAAP — particularly Financial Accounting Standards Board (FASB) Statement 133. The real-time, Internet-based order-matching Kiodex Trade Engine™ powers major electronic exchanges. Contact the company in the US at (646) 445-1019 or e-mail kiodex.info@sungard.com. Also see http://www.financialsystems.sungard.com/solutions/risk-management-analytics/energy-commodities-risk/kiodex. LabTech Software is the developer of a remote monitoring and management (RMM) solution designed to help global IT solutions providers transform their IT services business into successful managed services operations. The robust LabTech solution makes remote monitoring and management simple, scalable and affordable. It was created by system administrators for systems administrators, leveraging their experience with the day-to-day realities of IT services business. Contact LabTech Software, 4110 George Road, Suite 200, Tampa, FL 33634, telephone (813) 397-4600, fax (813) 397-4601. Also see http://www.labtechsoftware.com. Lakes Environmental specializes in environmental software and training. Their range of air dispersion modeling, risk assessment (human health and ecological), and emergency release modeling software is widely used by consultants, industries, governmental agencies and academia. All programs are Windows based and provide full graphical visualization including import of base maps from your favorite formats. Their software incorporates GIS tools by ESRI, the makers of Arc View and Arc Info, to provide users with the best GIS capabilities. Their advanced risk assessment software for human health (IRAP-h View) and ecological risk (EcoRisk View) is based on the most recent guidance from the U.S EPA. To support all of their products, Lakes Environmental provides training on risk assessment (health and ecological), air dispersion, toxic release, and risk management planning. Contact Lakes Environmental, 60 Bathurst Drive, Unit 6, Waterloo, Ontario, N2V 2A9 Canada, telephone (+1) 519-746-5995 or fax (+1) 519-746-0793, e-mail info@lakes-environmental.com. Also see http://www.weblakes.com. The Lance Group is a software solutions company that develops Process Safety Management software in the area of IEC61508, Loss of Contaimment, Atex, etc. One of their main products is Protecs. Protecs helps you manage and reduce the Risk with reference to Loss of Containment in a plant. Whether it’s about classifying risks according to IEC61508 (SIL), managing an inspection regime for safety provisions – including “hard to plan” activities, like those that require a plant stop, or managing overrides in the plant: Protecs does it all for you. Contact Marc Hanssen, The Lance Group, The Netherlands, telephone: +31 (0) 475 33 17 24, fax: +31 (0) 475 33 56 83, e-mail: marc.hanssen@lance.nl, Website: http://www.lance-safety.com. Litigation Risk Analysis, Inc. offers Litigation Risk Analysis™, a software package that provides a rigorous approach for dealing with — and quantifying — the uncertainties inherent in litigation. It also provides a logical method for arriving at conclusions about case value that properly reflect the analysis of underlying issues and evidence. It also offers DATA Decision Tree software from TreeAge, an award winning decision analysis program available for Windows™. DATA assumes the user understands how to perform a Litigation Risk Analysis and offers a unique combination of ease-of-use and extraordinary power that makes it practical to apply decision-tree analysis to virtually any legal problem. Contact Litigation Risk Analysis, Inc., P.O. Box 1085, Kenwood, CA 95452, telephone (707) 833-1093, fax (707) 833-0084, e-mail info@LitigationRisk.com. Also see http://www.litigationrisk.com. Lumina develops and disseminates innovative technologies that help individuals and organizations make effective decisions. Lumina pursues this goal in two ways: (1) by developing and marketing advanced software for decision support, and (2) by providing consulting, contract research, and seminars to help organizations make more effective use of decision-support tools. Lumina’s flagship software product, Analytica®, is a quantitative decision-support environment that helps people visualize problems with a clarity and power far beyond what is possible in a spreadsheet. Existing applications of Analytica include strategic planning, R&D management, decision analysis, and risk analysis in finance, healthcare, energy, environment, aerospace, and telecommunications. Contact Lumina Decisions Systems, 26010 Highland Way, Los Gatos, CA 95033-9758, telephone (650) 212-1212, fax (650) 240-2230, e-mail sales@lumina.com. Also see http://www.lumina.com. Mainstay’s mission is to serve the market performing acquisition analysis with best-of-breed software products. These products are designed to fully integrate all aspects of the acquisition analysis process from project inception through the proposal and program management phases, including program closeout, and to offer unparalleled client support in all essential areas. Mainstay has dubbed its software suite as CLAAS (Closed Loop Acquisition Analysis System) the foundation of which is PPAS (Proposal Pricing and Analysis System). CLAAS is the first true, complete proposal pricing and analysis system to integrate cost and price analysis, parametric estimating, and risk analysis and mitigation. With PPAS, contractors can develop and evaluate electronic proposals and submit them electronically using the same tool with which they are prepared. Thus, contractors can eliminate reconciliation between your proposal development software and your electronic delivery of the cost volume. Using the same PPAS product, Government cost/price analysts can perform normalized analysis across all contractors, totally dynamically, with data from each bidder at their disposal, accessible at whatever levels of detail or aggregation they require at any moment in time. Use of PPAS enables each bidder to prepare the pricing proposal using its own, unique methodology while allowing Government analysts to see a fully normalized view of each proposal enhancing the ease of comparison of competitive bids and comprehensiveness of analysis. Contact Mainstay Software Corporation, 6860 S. Yosemite Court, Suite 2000, Centennial, Colorado 80112, telephone (303) 220-8780, fax (303) 648-6220. Also see http://www.mainstay.com. MasterControl is known as a leading provider of quality and compliance software that enables highly regulated companies to accelerate compliance and get to market faster, while reducing costs and improving efficiency. It offers not just software, but solutions to critical problems faced by regulated companies. The MasterControl GxP process management and document management software suite combines robust software, expert services, and unparalleled customer care. Contact MasterControl Inc., 6330 South 3000 East, Suite 200, Salt Lake City, Utah 84121, telephone (801) 942-4000 or (800) 825-9117, fax (801) 942-7088. Also see http://www.mastercontrol.com. Medical Decision Logic Inc. (mdlogix) has expertise in clinical medicine, public health, health science informatics, computer science and software engineering. These skills position us uniquely in the health informatics industry and have led to academic partnerships with major research universities. In recent years, mdlogix has evolved from a research and development organization supported by SBIR grants to a company providing a portfolio of enterprise-level software products and services, focused on our market-leading Clinical Research Management System. mdlogix has the proven ability to deliver flexible, configurable enterprise-class solutions that fit our clients’ current and future needs. Contact Medical Decision Logic, Inc., 1216 E. Baltimore Street, Baltimore, MD 21202, telephone 410-828-8948, fax (410) 276-2098, e-mail info@mdlogix.com. Also see http://www.mdlogix.com. McCabe Software provides software security, quality, testing, release, and configuration management solutions to top commercial software, finance, defense, aerospace, healthcare, and telecommunication providers. For more information call (800) 638-6316 or (401) 572-3100 or go to http://www.mccabe.com. Developed by David Vose and his team at Vose Consulting, ModelAssist is the most comprehensive template, training and reference software available. The main focus of ModelAssist is on risk analysis techniques and methods and teaching users how to do good risk analyses. ModelAssist is not meant to just teach how to use risk analysis software such as Crystal Ball and @Risk. In fact Crystal Ball and @Risk provide courses that only teach you how to use their software. While ModelAssist does show you how to set up various models, the purpose of doing so is to make the actual modeling technique or method easy so that the focus can remain on creating accurate, clear, decision-supporting, and defensible risk analysis models. Download the free demo-version at http://www.vosesoftware.com/modelassist.php or e-mail at info@vosesoftware.com. MSM Risk Management is a risk engineering software specialist. Since 2001, MSM has been working with leading insurers to develop risk engineering software, becoming a leading software specialist in the process. The company’s product Risk Solved, an essential system for risk management professionals, insurers, brokers, third-party administrators and insured clients, provides a “single” view of a client’s risk profile. Contact Risk Solved Ltd. , 23 Austin Friars, London EC2N 2QP, telephone: +44 (0)20 3603 4441, e-mail London@risksolved.com. Also see http://www.risksolved.com. The National Safety Council has available for both Windows and Macintosh platforms an emergency management and risk assessment software called CAMEO. The CAMEO suite includes: (1) a safety and emergency response database on over 4,700 chemicals and databases to track chemical inventories and to prepare emergency plans for facilities and chemicals in transit, (2) an emergency air dispersion model, ALOHA, to estimate the endpoints of toxic plumes, and (3) a mapping application to analyze data spatially and to assess risk to vulnerable populations. For more information, contact National Safety Council, 1121 Spring Lake Drive, Itasca, IL 60143-3201, telephone (800) 621-7615, e-mail cameo@nsc.org. (Note: ALOHA is approved by EPA for RMP off-site consequence analysis and is sold separately.) For more information on the National Safety Council, go to http://www.nsc.org and for information on CAMEO, go to http://www2.epa.gov/cameo/what-cameo-software-suite. Natural Logic, an environmental management firm, provides environmental management software, databases, and information tools for business leadership and environmental quality. Its products include EQE Checklist™, an interactive checklist that assesses a company’s environmental quality and efficiency; EcoAudit Toolkit™, an expert system, knowledge base, and report generator that improves speed, thoroughness, and consistency of eco-efficiency and pollution prevention assessments; and Business Metabolics™, an environmental performance indicator software. Contact Natural Logic, Inc., P.O. Box 119, 1250 Addison Street, Studio 202, Berkeley, CA 94701, telephone (510) 248-4940, fax (877) 628-5644, e-mail info@natlogic.com. Also see http://www.natlogic.com. Navita is a leading provider of technology solutions to the energy and wider commodity trading industries. Navita’s POMAX suite delivers market analysis, trading, risk management, logistics, and settlement solutions for both physical and financial market participants and central marketplaces across a wide array of commodity classes. Navita has its head office in Norway and also has regional offices in London, Edinburgh, Stockholm, Toronto, and Los Angeles. For more information, visit http://www.intpow.com/?id=34. The Navy’s Best Manufacturing Practices Center of Excellence offers free risk management software (Technical Risk Identification and Mitigation System – TRIMS) as part of its Program Manager’s WorkStation (PMWS). This tool primarily focuses on risk management in systems engineering. Contact 4321 Hartwick Rd., Suite 308, College Park, MD 20740, telephone (301) 405-9990 or (800) 760-5911, fax (301) 403-8180. Also see http://www.bmpcoe.org. NeuralWare is a leading supplier and developer of neural network software for the development and deployment of innovative, intelligent, on-line solutions for commercial, industrial, government, and scientific applications. NeuralWare combined the expertise of mathematics, engineering, and computer science within their product line to produce powerful computation environments beyond standard statistical models for engineers and scientists. The company’s products form a high-performance technical computing environment providing nonlinear mathematics through neural networks to produce some of the most state-of-the-art software solutions possible. Contact NeuralWare, 409 Elk St., Suite 200, Carnegie, PA 15106, phone (412) 278-6280, fax (412) 278-6289, e-mail info@neuralware.com. Also see http://www.neuralware.com. The Numerical Algorithms Group (NAG) is dedicated to applying its expertise in numerical engineering, to delivering high-quality computational software and high performance computing services. For four decades NAG experts have worked closely with world-leading researchers in academia and industry to create powerful, reliable and flexible software which today is relied on by tens of thousands of individual users, as well as numerous independent software vendors. As a not for profit company, NAG reinvests any surpluses on the research and development of its products and services, its staff and fostering new numerical and scientific talent. NAG was founded in 1970 as a collaborative venture combining the talents of many globally renowned mathematicians. In 1971 NAG developed the first mathematical software library, which, over the next four decades, has evolved to become what it is today, the largest commercially available collection of high quality mathematical and statistical algorithms. NAG’s product and services portfolio includes the NAG Library, available in multiple guises, the NAG Compiler, and NAG’s specialist Consulting and HPC services. Contact The Numerical Algorithms Group Ltd., Wilkinson House, Jordan Hill Road, Oxford OX2 8DR UK, telephone +44(0)1865 511245, fax +44(0)1865 310139, e-mail infodesk@nag.co.uk. Also see http://www.nag.co.uk. NumeriX is a world leader in advanced analytics, providing software-based solutions to critical business problems using its proprietary advanced mathematical techniques. NumeriX software can solve computational bottlenecks in a variety of commercial markets, with outstanding flexibility, ease of integration and computational performance. Contact NumeriX, 99 Park Ave., 5th Floor, New York, NY 10016, phone (212) 302-2220, fax (212) 302-6934, e-mail sales@numerix.com. Also see http://www.numerix.com. The OpenGamma Platform is an open source risk and trading analytics platform. Using a completely open architecture, it delivers unprecedented transparency and improves the quality, accuracy, and real-time availability of the critical trading and risk analytics required by today’s front-office traders, quantitative analysts, and risk managers. Users have the freedom to quickly customize the Platform, integrate with existing legacy systems and applications, and modify source code in real-time, allowing firms to tailor system performance, maximize IT resources and significantly reduce costs. The OpenGamma Platform is developed by OpenGamma, a company founded in 2009. Headquartered in London and with an office in New York, OpenGamma brings together a team with extensive experience from both financial services organizations as well as pure technology providers. For more information, visit http://www.opengamma.com, or contact OpenGamma at 185 Park Street, London SE1 9BL, United Kingdom, +44 20 3725 3333, info@opengamma.com. OpenLink is a provider of cross-asset trading, risk management, and related portfolio management software solutions for the commodity, energy and financial services markets globally. OpenLink’s blue chip client base of more than 150 customers worldwide includes twelve of the top twenty-five largest commodity and energy companies by market capitalization, eight of the largest financial institutions and eleven of the largest central banks, as well as major hedge funds and public utilities. Headquartered on Long Island, New York, and with offices in New York, Houston, London, Berlin, Vienna, São Paulo, Sydney, and Singapore, OpenLink has more than 785 employees worldwide. Contact OpenLink, 1502 RXR Plaza, 15th Floor – West Tower, Uniondale, NY 11556; telephone 516-227-6600; e-mail info@olf.com. For more information, see http://www.olf.com. OptialTM is a leading supplier of web-based audit, compliance and risk management solutions for business and government. Their products have been implemented by Fortune 500 organizations in almost 50 countries. OptialTM offers a platform for managing key business assurance activities more efficiently and more effectively, generating operational cost reductions and delivering transparency and confidence in the management of corporate risks. The OptialTM system is developed as a flexible platform to support risk management and compliance methodologies within global corporations. This entails an enterprise level application designed to scale to large user numbers, with an inherent flexibility engineered into the system from inception and a simple user interface enabling unskilled users to become immediately productive. Using the latest technology, their internet software products are engineered to be highly scalable and extensible. A wide spectrum of deployment methods is offered: you can benefit from the world-class levels of security and reliability offered in a hosted deployment; or maintain full internal control over the system in a conventional on-site installation. The applications are accessed via a standard web browser from any computer connected to the internet or Intranet as applicable. Request information online at http://www.optial.com, or telephone +44 20 7247 7673, or e-mail us at request@optial.com. Orion Healthcare Technology has created AccuCare, a fully integrated and secure system designed to help streamline the critical areas of your practice. Use our built-in workflow to treat your client or pick and choose which areas you wish to automate in your treatment. Because your data is held in the AccuCare cloud, it’s safer and more efficient than ever. Access your data from any computer with internet access and run practically any report you wish, all with a few simple clicks. Contact Orion Healthcare, 18047 Oak Street, Omaha, NE 68130, toll-free telephone (800) 324-7966 or (402) 341-8880, fax (402) 341-8911. Also see http://www.orionhealthcare.com. Palisade Corporation is a world leader in risk analysis, decision analysis, optimization, and statistical analysis software products. Since 1984 Palisade has used Monte Carlo simulation and Genetic Algorithm technologies to help analysts, researchers, and managers make better decisions. Palisade products include: @RISK (risk analysis add-in for Excel), PrecisionTree (decision analysis add-in for Excel), StatTools (statistics add-in for Excel), @RISK for Project (risk analysis add-in for Microsoft Project), Evolver (Genetic Algorithm optimizer for Excel), RISKOptimizer (Genetic Algorithm and Monte Carlo simulation optimizer), and the DecisionTools Suite. For more information, visit http://www.palisade.com or contact us at 607-277-8000, or sales@palisade.com. PerDATUM Incorporated is a leader in Windows-based software for managing occupational injury and illness information. The PROGNOS family of products provides safety, workers’ compensation, risk management, and occupational health professionals with powerful tools for information management and statistical analysis to help manage and analyze illness and injury data. Contact Mark VerMeule, Marketing/Sales, PerDatum, Inc., 4098 Main Street, Hilliard, Ohio 43026, telephone (614) 777-4636, fax (614) 777-4650. PIZER Incorporated is a civil engineering software company, specializing in hydraulic analysis of municipal sewer systems, and earthwork cut and fill quantities calculations. The company’s best known software product line, the HYDRA is a hydraulic analysis, design, and management software package for storm, sanitary, and combined sewer systems. The HYDRA sewer model is ideal for comprehensive sewer master planning, infiltration and inflow studies, rehabilitation projects, determination of development impact fees, and stormwater runoff management. EARTH, the company’s earthwork cut and fill calculation software, is a quick and simple quantity calculation tool for excavation, paving, and grading. It is ideal for roadway and highway design, road widening, borrow pits, dredging, trenching, site design, reclaimation, and other large engineering and construction projects involving excavation requiring moving large quantities of soil, rock, gravel and is used as a standard by the US Federal Highway Administration and several State Highway Departments. Contact PIZER Incorporated, 503 N. 36th St., Seattle, WA 98103, telephone (800) 222-5332 or (206) 634-2808. Also see http://www.pizer.com. The Performance, Process and Measures (PPM) Audit & Inspection Management System makes auditing a whole lot faster and easier – and more accurate. It lets you be more productive and saves you money. It is a tool to help you develop a proactive approach to safety management. The Audit & Inspection Management system lets you design …your audit, your way. With this system, monitoring compliance and developing a due diligence strategy has never been easier! It allows you to develop your audit…from start to finish, including: (1) audit design – lets you create your audit; (2) audit completion – lets you administer your audit; (3) audit reporting – prints your reports; (4) follow up – lets you identify and route special action items. Contact Creative Business Solutions Inc., Spencer Hall, 220 Prince Phillip Drive, Suite 3004/5, St. John’s, NF A1B 3X5, telephone (709) 737-8924, fax (709) 737-3539. Also see http://www.safetyonline.com/doc/ppm-audit-inspection-system-0001. Primatech develops and licenses computer software packages for process safety and risk management applications. Primatech is a world leader in software for process hazard analysis (PHA) studies. AUDITWorks for Windows assists in the preparation, conducting and documentation of safety and environmental compliance audits. PHAWorks for Windows helps you conduct process hazard analysis studies (HAZOP, WHAT IF, FMEA, etc.) including revalidation studies for process safety and risk management programs. PSMSource for Windows is a software-based PSM encyclopedia that contains information meticulously gathered by Primatech since the PSM standard was issued, including interpretations, clarifications and citations of the standard by OSHA contained in written documents and verbal presentations at technical meetings, workshops, conferences, website, etc. To request an evaluation copy of any of the above software packages, see Primatech’s software page at http://www.primatech.com/software or call (614) 841-9800. PSI has developed EnvironmentalStats for S-PLUS, a new S-PLUS module for environmental statistics and quantitative risk assessment with an extensive hypertext help system that functions as an electronic text book. For more information, contact Dr. Steven P. Millard at 7723 4th Avenue, NE, Seattle, WA 98195-5117 (USA), telephone (206) 528-4877, fax (206) 528-4802, e-mail SMillard@ProbStatInfo.com. Also see http://www.springer.com/us/book/9781461484554. ProcessGene develops forward-thinking risk management software solutions designed to serve multi-subsidiary organizations. The company has been acknowledged as a market leader and innovator by the most important analyst firms. Businesses and governments worldwide use ProcessGene solutions to manage and control their risks, including risk identification, management of mitigating controls, and scheduling the execution of audit plans. ProcessGene’s Multi-Org technology enables synchronized management of several risk management programs (e.g., per subsidiary), all linked to a centrally controlled, global risk management baseline. ProcessGene also offers a full range of Multi-Org Business Process Management (BPM) and Governance, Risk, and Compliance (GRC) solutions. For more information, visit http://www.processgene.com/. Computer engineering company Prosig manufactures high quality software and hardware to capture and analyze all manner of “real-world” data. Prosig is a specialist in the capture, analysis and display of data both on the work-bench and under field conditions. DATS for Windows is their main software product. DATS has been developed over 25 years and, with over 200 analysis functions, provides engineers with the ultimate proven signal processing toolkit. Acquisition, analysis, display and reporting of technical data are achieved using ‘point and click’ operations in a familiar Windows environment. Contact Prosig USA, Inc., 29200 Southfield Road, Suite 100A, Southfield, MI, 48076, telephone (248) 443-2470, fax (248) 443-2706. The Q5AIMS Audit & Inspection Management System is an innovative and leading-edge solutions. Q5AIMS technology enables you to conduct your audits, behavior-based observations and corrective actions faster, easier, and with more meaningful results. Integrating desktop, laptop, tablet, Palm or Pocket PC technology, Q5AIMS is your total audit management solution. Q5AIMS is multi-dimensional. It is used for security, risk management, health & safety, environmental and all quality auditing. One tool for all auditing and assessments. Contact John Lukins, e-mail jlukins@q5systems.com, telephone (709) 739-8801, 8803 or toll free (866) 737-7574, or visit http://www.q5systems.com. Founded in 2002, Quantifi is a leading provider of analytics, trading, and risk management software for the Global Capital Markets. Quantifi products are trusted by the world’s most sophisticated financial institutions, including five of the six largest global banks, two of the three largest asset managers, leading hedge funds, insurance companies, pension funds and other market participants. Quantifi’s ground-breaking suite of integrated pre- and post-trade solutions allows market participants to better value, trade, and risk manage their exposures and respond more effectively to changing market conditions. Renowned for client focus, depth of experience, and commitment to innovation, Quantifi is recognized for delivering robust, intuitive, award-winning solutions, including Quantifi RISK, Quantifi XL, Quantifi COUNTERPARTY RISK, Quantifi CVA, and Quantifi TOOLKIT. Request a demo at http://www.quantifisolutions.com. Contact Quantifi in the USA at 230 Park Ave., 10th Floor, New York, New York 10169, telephone (212) 784-6815. Quantum Compliance Systems provides environmental health and safety software solutions that help businesses implement and maintain compliant and sustainable EH&S practices. The Q EHS Enterprise Software system is a fully integrated, enterprise-wide Environmental, Health and Safety (EH&S) platform that simplifies your corporation’s EH&S information management, increases workplace safety, and reduces risk exposure to regulatory citations . Contact the company at 2929 Plymouth Rd., Suite 207, Ann Arbor, MI 48105, telephone (734) 930-0009, e-mail info@usequantum.com. Also see http://www.usequantum.com. RAMAS® software by Applied Biomathematics® for ecology, conservation biology, wildlife management, and public health risk analysis is widely used for teaching and in applied research. Contact Applied Biomathematics, 100 North Country Road, Setauket, New York 11733, phone (516) 751-4350, fax (516) 751-3435, e-mail admin@ramas.com. Also see http://www.ramas.com/software.htm. Resolver [formerly “BPS Resolver Inc.”] is a global leader in governance, risk, and compliance (GRC) software. For over a decade, Resolver’s proven integrated solution has enabled its clients to gain significant efficiencies—with the fastest time-to-value in the industry—and to address their business, audit, risk, and compliance issues more effectively. The GRC Cloud application suite is among the broadest and most comprehensive platforms in the industry, spanning Finance & Internal Control (SOX, 52-109, A-123), Legislative Compliance, Internal Audit, Risk Management, Group Assessment & Identifications Workshop Tools, Incident Management, and more. It is an exceptionally flexible system, with a highly configurable central repository and reporting engine, allowing users to easily adapt to the ongoing changes in regulatory and business requirements. Tying it all together, the powerful and easily configurable Workflow engine can provide substantial benefits and efficiencies by automating and streamlining an organization’s manual processes. For more details, please contact visit http://www.resolverGRC.com or e-mail info@resolverGRC.com. Risk Decisions specializes in providing robust, flexible, and scalable risk management solutions built upon its Predict! software and its comprehensive consultancy and training services. Predict! Risk Controller is a powerful database application that enables organisations to implement robust and consistent risk management at every level: business unit, project, programme, collaborative project, or function. It provides the benefits of a commercial-off-the-shelf (COTS) package, with the flexibility to configure it to support their processes. Risk Controller incorporates the leading quantitative schedule and cost risk analysis product, Predict! Risk Analyser. The result is an extremely powerful toolset that removes the need to transfer data from one package to another. Risk Controller and Risk Analyser also link to all the leading planning and requirements tools either through database-to-database links or file imports. Risk Decisions provides solutions to the MoD, the defence industry, and major corporations in the construction, energy, engineering, nuclear power, pharmaceuticals, transport and utilities sectors. Visit http://www.riskdecisions.com for further information, or contact Fiona Racher, Head of Marketing, fiona.racher@riskdecisions.com. Risk Integrity Safety Knowledge, Inc.
RISK, Inc. was started by a small group of professionals that saw a need for a higher level of quality and integrity in risk assessment, risk management, and process safety management. This group of engineers, process safety specialists, and others set out to create a company of highly trained individuals that provide a full range of technical consulting, training, and staffing services for OSHA’s Process Safety Management (PSM) and EPA’s Risk Management Program (RMP). Key services include hazard and risk assessment, compliance assessment (audits, gap analyses), program development and implementation, and short- and long-term staffing. Hazard and risk assessment services include: project PHAs, FEED through design stage PHAs, procedural PHAs, re-dos and revalidations, and upstream and downstream systems. We perform advanced level studies such as Layer of Protection Analysis (LOPA), Quantitative Risk Assessment (QRA), and a full range of Safety Instrumented Systems services. See https://psmrisk.com/. Riskdata® offers a comprehensive suite of Solutions for Asset Managers and Institutional Investors, covering all risk-management related needs, including quantitative asset screening, pre-trade simulation, portfolio construction, as well as regulatory compliance and reporting. Riskdata® products combine global cross-asset-class pre-calculated data, with light and easy-to-integrate software. All Riskdata® models fully meet the most challenging regulatory standards. Contact RiskData® at email support@riskdata.com. Also see http://www.riskdata.com. RiskWatch International, a leading risk assessment software company, provides quantitative risk analysis software that produces accurate results for better decision making on security measures. For more information and to request demos, contact RiskWatch International, 1237 N. Gulfstream Ave., Sarasota, FL 34236, telephone (800) 360-1898, fax (866) 390-8897. Also see http://www.riskwatch.com. rL Solutions provides customer service and risk management solutions that are easily implemented, globally accessible, and have a positive impact on the quality of care and service for health care consumers. The company has developed the RL6 Suite which is flexible and easy to use. It equips you with the tools to help with patient safety, quality, infection surveillance strategies, and much more. For more information, contact rL Solutions, One Broadway, 14th Floor, Cambridge, Massachusetts 02142, telephone (617) 475-1515, fax (617) 475-6046. Also see http://www.rlsolutions.com. DDMT (Data and Decision Management Tool) provides a user-friendly, graphical application which enables the user to develop, interrogate, and maintain event tree based Quantified Risk Assessments (QRAs). It provides greater understanding of the risks associated with a project, asset or activity which enables users to assess ways of reducing those risk and audit changes through life. In addition to providing input data, DDMT offers fundamental decision-making facilities to evaluate the effectiveness and value of proposed modifications resulting in improved risk-based decision making. For more information, contact RMRI Ltd, 44 Peter Street, Manchester, M2 5GP, UK, telephone +44(0)161 817 7180, fax +44(0)161 835 2211, e-mail Manchester@rmri.co.uk. Also see http://www.rmri.co.uk. Roadmap Technologies provides sales forecasting and business planning software. Roadmap’s suite of analytical applications provide advanced forecasting, data mining and collaborative planning technologies to give organizations a clearer view of the future. Contact Roadmap Technologies, Inc., 100 Cummings Center, Beverly, MA 01915, telephone (978) 232-8901, e-mail info@roadmap-tech.com. Also see http://www.roadmap-tech.com. Rsam is an award-winning (GRC) governance, risk assessment and compliance management platform that integrates business criticality, regulatory assessment data, and vulnerabilities with other risk findings to provide enterprise risk visibility, oversight, and assurance. Rsam blends intuitive multi-user interfaces with practical, best of breed assessment methodology. Modular, out-of-the-box solutions support Risk Assessment, Audit, Compliance, Incident Management, Issues and Remediation, Policy Exceptions, Threat and Vulnerabilities, and Vendor Risk Management. For more information, visit http://www.rsam.com. Sabre Systems produces PreWin, the ultimate software for industrial pretreatment programs. It is a Windows-based, network-ready application that provides an intuitive and user-friendly means to manage IPPs. PreWin helps POTW’s monitor and enforce Industrial User (IU) compliance with federal Pretreatment regulations. It schedules and tracks IU and POTW activities, monitors sampling results and automatically detects effluent discharge and reporting violations. Designed according to EPA regulations, PreWin determines Significant Non-Compliance (SNC) and supports generation and tracking of enforcement actions. Contact Sabre Systems, 865 Easton Road, Suite 300, Warrington, PA 18976, telephone (877) 722-7379 or (215) 957-5222, fax (215) 343-1003, e-mail prewinsales@sabresys.com. Also see http://www.sabresystems.com. The safety management consulting and training firm SPS specializes in improving safe work performance through its safety scorekeeping process CHAMPS™, which empowers employees to identify and resolve chronic safety issues, frustrations, inefficiencies, and system barriers by systematically targeting problem areas and creating measurement and feedback loops for continuous improvement. For more information, contact Safety Performance Systems, Exton, PA 19341, telephone 866-446-2396 or e-mail info@safetyperformancesystems.com. Also see http://www.safetyperformancesystems.com. The new software TerraSys, developed by Sanexen Environmental Services Inc., combines all the tools required for ecotoxicological risk assessment of contaminated sites. Developed primarily for cases involving contaminated soil, TerraSys possesses the functions necessary to evaluate various situations involving toxic substances in the environment, whether in terrestrial or aquatic habitats. The numerous databases integrated into the program can be edited by the analyst. This gives TerraSys a capacity so far unequalled for performing risk assessments on combinations of receptors and contaminants for which no reference values are currently available. TerraSys includes unprecedented new functions which extend its capacities well beyond traditional models. These functions include geostatistical treatment of characterization data, functions for the calculation of dose/response relationships and sensitivity distributions integrated with ecotoxicological databases. For more information, contact Sanexen Environmental Services inc., 9935 Catania Ave., Entrance 1-Suite 200, Brossard (Quebec) J4Z 3V4, Canada. Also see http://www.sanexen.com. SAS Institute produces high-quality software solutions that meet the needs of decision makers in business, government and education worldwide. Included in their products is StatView for Windows and Macintosh. This powerful software packs data management, statistical analyses, and presentation tools into a single intuitive and coherent desktop software package that anyone can use. Savarex® offers an integrated information technology and software for the complete safety analysis and risk management of industrial facilities and plants. The all-in-one management system Savarex® Studio includes: GIS, FTA, ETA, Modelling (loc, evaporation, dispersion, explosion, fire, etc. ), human and ecological damage, risk assessment, risk-based weak point analysis, cost-benefit analysis, and much more. The multilingual system allows evaluations and analyses according to the latest EU requirements (Seveso, IED) and according to international licensing regulations, laws, internal operating standards and instructions. The Savarex® Studio combines expert knowledge and recent research results with this integrated system for the efficient and flexible application by safety officers, plant engineers, plant operators, licensing authorities, certification bodies, fire departments and insurances. This system provides a higher level of quality with such well-known analysis methods such as HAZOP, HAZID, QRA, FMEA, PHA, RBI, SIL, PML, etc. For more information, visit http://www.savarex.com (Deutsch www.savarex.de) or contact e-mail: info@savarex.com, tel: (+49) 511 543-567-10, fax: (+49) 511 543-567-39. Schlumberger Limited is a leading supplier of technology, integrated project management and information solutions to customers working in the oil and gas industry worldwide. Schlumberger offers many software packages, including VISTA, a desktop seismic data processing software, and OLGA, a dynamic multiphase flow simulator that models transient flow. See more software options at http://www.software.slb.com/Pages/default.aspx. Contact Schlumberger Limited, 5599 San Felipe, 17th Floor, Houston, Texas 77056. Also see http://www.slb.com. Scientific Software International provides software tools for statistical data analysis, useful for work in a variety of fields, such as statistics, behavioral and social sciences, medical research, education, business research, environmental science, and other diverse areas. Our best known products include LISREL 9.1, the pioneering software for structural equation modeling; HLM 7, for hierarchical data modeling; SuperMix 1, which has an easy to use graphical user interface; and Item Response Theory. Contact Scientific Software International, Inc., P.O. Box 4728, Skokie, IL 60076-4728, e-mail sales@ssicentral.com. Also see http://www.ssicentral.com. Simulation Resources Inc. (SRI) is a company devoted to the development of computer tools and techniques for simulating and analyzing complex systems. SRI’s current offerings include a software development package called SCoP, a general purpose simulation software package designed to assist in the study of complex systems whose properties can be represented by algebraic, differential, and difference equations; and CIGAS, a suite of software applications designed to facilitate the gathering and analysis of clinical data. Send email to support@simresinc.com, call (909) 528-1008, or write to Simulation Resources, Inc., 45 W. Sunset Dr., Redlands, CA 92373. Also see http://www.simresinc.com. Sinauer Associates publishes college textbooks, software, video, and multimedia applications in biology, psychology, and neuroscience. Contact Sinauer Associates, Inc. at 23 Plumtree Road, Sunderland, MA 01375-0407, telephone (413) 549-4300, fax (413) 549-1118, e-mail (for general inquiries) publish@sinauer.com. Also see http://www.sinauer.com. The Skylonda Group offers expert assistance, software, and integrated information systems to cut costs and improve performance in environmental and other government regulatory programs for corporate environmental health and safety managers, corporate regulatory information system managers, federal, state, and local agencies, software publishers and developers, investors in information technology, and at the interface between government and business. Skylonda excels in its unbiased selection of the best mix of packaged and custom software, database, and connectivity products to meet specific needs. And Skylonda makes entirely new software — like standardized electronic MSDS transfer modules — when needed. Contact the Skylonda Group, 1037 Harker Ave., Palo Alto, CA 94301, telephone (650) 324-2000. Software Engineering provides underwater acoustic navigation and data acquisition and analysis software for the oceanographic community, including: research institutes, government agencies, navy groups and commercial clients. The company’s products are routinely used on deep ROV’s (remotely operated vehicles), AUV’s (autonomous vehicles), manned submarines, deep instrument tows and surface vessels. Contact Software Engineering Associates, PO Box 25496, Seattle, WA 98125, phone/fax (206) 365-1542, e-mail seanav@seanav.com. Also see http://www.seanav.com. SoMat Corporation develops portable data acquisition systems and software tools for field and lab data analysis. Used around the world by test and design engineers, SoMat’s suite of products can be found in many automotive, off-highway, aerospace and defense industries. Contact SoMat Corporation, 2202 Fox Drive, Champaign, IL 61820, telephone (800) 578-4260, fax: (217) 328-6576. Also see http://www.somat.com. Starpoint Software provides quality environmental and geologic applications for Windows. The company offers ChemPoint 4.0, a powerful data management software for surface water, ground water, soil, ash, sludge, bio-tissue, and air pollution monitoring; ChemStat, a full featured RCRA compliant statistical analysis software for ground water data that includes most methods described in 1989 and 1992 USEPA statistical guidance documents; MohrView, a product that provides highly customizable, professional quality Mohr circle and Coulomb failure analysis plots and calculations; and SieveGraph, a product that provides highly customizable, professional quality sieve and hydrometer plots. Contact Starpoint Software Inc., 5797 West Fountain Circle, Mason, Ohio, telephone (513) 755-7624, e-mail info@pointstar.com. Also see http://www.pointstar.com. StataCorp has been a leader in statistical software, primarily through their flagship product Stata. Stata provides an integrated statistics, graphics, and data-management solution for anyone who analyzes datas. Stata is used by medical researchers, biostatisticians, epidemiologists, economists, sociologists, political scientists, geographers, psychologists, social scientists, and other research professionals needing to analyze data. Contact StataCorp, 4905 Lakeway Dr., College Station, Texas 77845-4512, telephone 800-782-8272, or 800-248-8272 (Canada), or 979-696-4600 (Worldwide), fax 979-696-4601 (Worldwide), e-mail stata@stata.com. Also see http://www.strata.com. Since 1984, StatSoft has been developing the Statistica suite of analytics software products and solutions. Statistica provides the most comprehensive array of data analysis, data management, data visualization, and data mining solutions. Techniques include the widest selection of predictive modeling, clustering, classification, and exploratory procedures in one software platform. Statistica is a tried and true analytics platform with more than two decades of history in delivering successful business results for our customers, a global user base of more than one million users. Contact StatSoft, 2300 East 14th Street, Tulsa, OK 74104, phone (918) 749-1119, fax (918) 749-2217, e-mail info@statsoft.com. Also see http://www.statsoft.com. A member of SunGard’s information technology solutions for financial services, SunGard Energy Systems provides software and processing solutions for financial services, education, and the public sector. Contact SunGard, 680 East Swedesford Rd., Wayne, PA 19087, e-mail getinfo@sungard.com. Also see http://www.sungard.com. Supernal offers Scout®, a suite of web-based risk management and compliance tools suited for financial institutions. Because different institutions have different needs and challenges, Supernal has grouped the easy-to-use tools into five separate packages: Information Manager, Payment Manager, Vendor Manager, Management Dashboard, and Compliance Manager. For more information on Scout and how to get your risk environment under control, call 608.785.7101 or e-mail info@supernal.com. Contact Supernal, 127 Marina Dr., La Crosse, WI 54603. Also see http://www.supernal.com. SWK Technologies (formerly Hightower Software) is a business application and consulting company providing strategies and solutions to meet information and business management needs. As a Sage Software Authorized Business Partner, Sage Certified Gold Development Partner, Sage Certified X3 Partner and Sage Authorized Training Center, SWK offers best-of-breed solutions for accounting and business management, financial reporting, ERP, CRM, job costing, EDI, and warehouse management. Contact High Tower Software, 19712 MacArthur Blvd., Suite 120, Irvine, CA 92612, phone (949) 852-2233 or toll free (877) 448-6937, fax: (949) 852-2230, e-mail info@high-tower.com. Also see http://www.hightowerinc.com. The System Reliability Center (SRC), an Alion Science and Technology Center of Excellence, has served the reliability and maintainability community for more than 35 years as a technical focal point for information, data, analysis, training, and technical assistance in the engineering fields of reliability, maintainability, supportability, and quality (RMSQ). SRC’s products include PRISM®, the new SRC software tool that ties together several tools into a comprehensive system reliability prediction methodology, and SPIDR™ (an acronym for System and Part Integrated Data Resource), the new Alion SRC comprehensive database of reliability and test data for systems and components. For more information about SRC products, go to http://src.alionscience.com/src/products.do. Risk-Elimin8 is a powerful qualitative software package that assesses all key elements of risks through identification, evaluation, mitigation and management. It allows project managers to adopt a systematic and disciplined approach to risk assessment. Risk Elimin8 has been built from talking to professional risk managers that have years of experience with in the risk assessment field. Risk Elimin8 has the capability and flexibility to operate in any industry and be individually customised to fit a companies’ own requirements. Allows easy integration for importing of data into different formats, project management. For more information, visit http://www.tdm-ltd.com for the software Risk Elimin8 and TRAMS, or contact Aberdeen Drilling Consultants, TDM Ltd, 56 Queens Road, Aberdeen, AB15 4YE, UK or on +44 (0)1224 209123. Texas Engineering Extension Service (TEEX) training and practical workforce solutions. The major TEEX programs include fire and rescue, infrastructure and safety, law enforcement, economic and workforce development, and homeland security. Contact TEEX, 200 Technology Way, P.O. Box 40006, College Station, Texas 77845-3425, telephone (877) 833-9639 or (979) 458-6805, fax (979) 458-6822. Also see http://www.teex.org. A leading manufacturer of word processing components for Microsoft development technologies (ASP.NET, Windows Forms, Windows Presentation Foundation, and ActiveX), Text Control GmbH creates products that help thousands of developers add comprehensive word processing functionality to their applications. Introduced in 1991, the TX Text Control family of word processing components offers developers all the features expected in a high-end word processing package in reusable component form. For more information, see http://www.textcontrol.com/en_US/. TightShip (known previously as RegsApp) is hosted policy and procedure management software with version control, audit reporting, user understanding testing, e-mail notification, and more. We help human resources, training, and quality departments automate the distribution, management, and audit of company policies and procedures. TightShip is used by businesses and government organisations to comply with industry standards and legislation and to ensure that their staff adheres to the standards. A free trial is available. Go to http://www.tightship.io. TreeAge Software, Inc. publishes, sells, and supports decision analysis software. The company offers TreeAge Pro Products, decision analysis software. The software is used in a wide array of industries, including healthcare, legal, oil & gas exploration, management consulting, investments, teaching, etc. Contact TreeAge Software, Inc., One Bank Street, Williamstown, MA 01267, telephone (413) 458-0104, e-mail sales@treeage.com. Also see http://www.treeage.com. Trinity Consultants pioneered the development of advanced air dispersion modeling software designed to help environmental professionals perform air quality studies. Today, thousands of environmental professionals in more than 60 countries use BREEZE software to model the dispersion of air emissions as well as fires and explosions. Our commitment to continuous product improvement and expert technical support remains vital to making BREEZE the standard in modeling software. In addition to developing and providing market-leading air dispersion modeling software, BREEZE also offers quality-assured meteorological data for a variety of modeling scenarios. To learn more about BREEZE software, or to place an order, visit breeze-software.com. Trinity Consultants, 12770 Merit Dr., Suite 900, Dallas, TX 75251, telephone 800-229-6655 or 972-661-8100, e-mail isoft14000@trinityconsultants.com, website: http://www.trinityconsultants.com. The U.S. Department has several software programs available to help independent operators improve oil and gas exploration and reservoir management. FRAC-EXPLORE Software analyzes the characteristics and relationships of ground surface features, such as fractures and other geologic patterns, to identify potential subsurface oil and gas reservoirs. These two software packages can be obtained by contacting the National Energy Technology Laboratory (NETL), Arctic Energy Office, 420 L Street, Suite 305, Anchorage, AK 99501 Also see http://www.netl.doe.gov/research/oil-and-gas. Vanguard Software is a privately held corporation founded in 1995 to develop business Decision Support software. Customers in over 60 countries and in every major industry use Vanguard’s software for forecasting, resource optimization, Web-based expert systems, and financial modeling. Vanguard’s flagship product, called the Vanguard System, offers enterprise decision analysis, collaborative web-based modeling, and knowledge capture capabilities to ensure that the risks and opportunities throughout a company are captured and rolled up. In addition to the Vanguard System software, Vanguard offers custom model development, consulting, and training. Contact Vanguard Software Corporation at 1255 Crescent Green, Cary, NC 27518, telephone (919) 859-4101, fax (919) 851-9457, or e-mail info@vanguardsw.com, sales@vanguardsw.com, or support@vanguardsw.com. Also see http://www.vanguardsw.com. VRA addresses the need to monitor global situations of terrorism and political risk. VRA launched GeoMonitor, a set of models that monitor and forecast indicators associated with country instability. To learn more about this software tool and other software packages, contact VRA at 22 Georgian Rd., Weston, MA 02493, or call (781) 647-5952. Also visit http://www.vranet.com. A group of U.S. weather researchers and technology innovators formed Weather Decision Technologies, Inc., which uses sophisticated and proven weather technology systems to provide the world’s highest resolution, most accurate weather information content for helping its customers in making appropriate decisions to minimize weather-related risk. Contact WDT, 201 David L. Boren Blvd., Ste. 270, Norman, OK 73072, telephone (405)579-7675, fax (405) 579-7780. Also see http://www.wdtinc.com. Xactium, a leading enterprise cloud computing company, delivers governance, risk, and compliance solutions on the Force.com platform. Xactium’s enterprise GRC solutions are empowering organizations to manage their governance, risk, and compliance activities more effectively and efficiently, while reducing the effort and cost associated with traditional GRC software. Xactium Risk Manager provides an easy to use web-based application for managing risk across an organization. Built on the flexible, scalable and secure Force.com cloud computing platform, it requires no installation, can be configured to an organization’s requirements in days, and provides rich reporting, workflow, and user management capabilities to proactively identify risks, evaluate the likelihood and impact of those risks, mitigate risks, relate them to mitigating controls and actions, and track their resolution. Contact Xactium, DeVere House, Woodseats Close, Sheffield, S8 0TB, telephone +44 (0) 1142 500 162, email info@xactium.com. Also see http://www.xactium.com/. © Copyright 2015 by Tec-Com Inc.